Debt collectors can be persistent, calling at all hours of the day and night to the point of harassment. Owing money is stressful enough, but once an outstanding debt is handed over to a debt collector, the stress levels almost immediately escalate, thanks to repeated calls, threats and other intrusive behavior. A 2009 story in CNN highlighted some of the worst tactics used by debt collectors, including one bill collector who told a woman that if she didn’t pay her outstanding debt, they would call her place of employment until she got fired. Another threatened to kill a family pet. Most people don’t realize that they don’t have to allow outstanding debt to control their lives, no matter how tenacious those bill collectors can be. The worst debt collectors take advantage of anxiety, fear and misinformation to torture those with debt into paying, sometimes much more than they originally owed. Debt most often happens when life throws us an unexpected curve ball such as a job loss, a serious illness or some other unfortunate set of circumstances. When times are tough, debt can accrue quickly, and it can be difficult to keep up without a steady paycheck or if insurance doesn’t cover as much as you’d hoped in the event of a catastrophic accident. But bill collectors don’t often care why you owe money, only that you do, and many will go to great lengths to get you to pay, despite rules set in place by the Federal Trade Commission that determine how bill collectors can go about collecting debt. 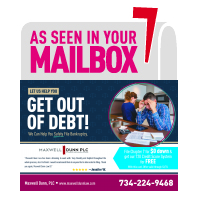 While the stress of outstanding debt might make you want to ignore your phone, the letters and the harassment, that’s the worst move you can make. Knowing your rights is an important first step to stop bill collectors until you get your finances back on track. In some cases, debt collectors will taunt worried people by telling them that the police are on their way to arrest them if they don’t pay their bills immediately. This is, of course, illegal. Debtor’s prison officially ended in 1850, and although those who owe child support can still be sent to jail, those with outstanding medical bills cannot. Debt collectors can’t show up at your place of employment to harass you. They can’t threaten to take your home or other property to cover the cost of your debt. They can’t harass or embarrass you on social media. They can’t use abusive or obscene language during calls. They can’t call before 8 a.m. or after 9 p.m., and if you ask them in writing to stop or have hiring an attorney to represent you, those debt collection calls have to end. Bill collectors can’t publish announcements about your debt or tell others that you owe money. Debt collectors can’t threaten to take away your child custody rights. Debt collectors cannot harass you for money that you don’t owe. If you are getting calls about a debt that you know isn’t yours, check your credit report, then call an attorney to put a stop to the calls. To put an end to harassment, call the collection agency and see if you can work out some kind of payment plan or make a reduced lump sum payment to wipe out outstanding debt. You can also file a complaint with the FTC or your state’s attorney general’s office. Hiring an attorney is also a good way to have an advocate to protect you from harassment and negotiate a payment plan. Still, if you legitimately owe money for an outstanding debt, bill collectors have the right to try to collect the money. They can call you every day – until you ask them not to – and send regular letters in order to be reimbursed. Debt collectors can sue you for outstanding debt, which makes it important that you don’t ignore collection calls. Trying to negotiate a payment plan – and making a good faith effort to pay what you can – can prevent a lawsuit. Debt collectors have room to negotiate. In many cases, bill collectors have purchased your debt from the original owner for pennies on the dollar, so offering a percentage of what you owe may help you erase your debt. Just make sure to get your agreement in writing. Debt collectors can sell your debt to another collection agency, making it difficult to keep track of what you’ve paid. If you have paid your debt in full, keep the paperwork and provide proof to the new agency in writing. Debt expires after a certain amount of time, but that doesn’t mean debt collectors can’t continue to attempt to pursue payment. If your debt is more than seven years old, it will no longer appear on your credit report. To prevent it from resurfacing, don’t enter into negotiations with a bill collector, and don’t make a payment on that old debt. Doing so will reset the clock and the debt will be yours once again. At Maxwell Dunn, we understand the stress that outstanding debt can cause, and are here to listen and help. Once we understand your financial circumstances, we will help you find the best solution for your financial situation. For a confidential consultation, call us directly at 1-248-246-1166.